GermstarÂ®s unique solution bags are simple and easy to change. Factory sealed refill pouches guarantee contamination-free product. Solution is contained in an airtight, self-collapsing bag, which will not waste one drop of liquid (good for up to 1,400 washes @ 0.7ml each). 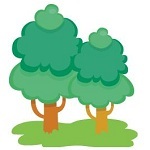 GermstarÂ® solution product superiority is effective indefinitely but is Best if Used By the 2-year date stamp. The small magnetic valve contained in the solution bag stem is the only moving part in our touchless dispensing system. When you change the solution bag, you also change the only moving part! 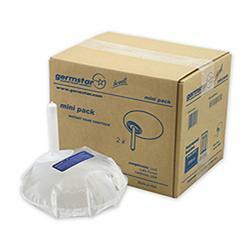 Solution bags are compatible with the GermstarÂ® Touchless System.